I try visit museums in every city I travel to, and it has as much to do with what the exhibits are about, as it does with the design of the space. So much thought goes into the lighting and the materials to create a special and memorable environment. And it has to make you feel something, and then want to learn something. The Star Wars Power of Costume Exhibit that came to the Denver Art Museum last year was fantastic, and not just because it was Star Wars. They fully embraced the fandom, the movies, the sketches, the materials. They used them all together to tell a story of the stories. You could see Princess Leia's Bikini while looking a huge backdrop of Jabba the Hutt, while a screen on the other side showed the scene where she wore it. It is amazing that a bikini could make me feel so nostalgic and excited and connected to something. 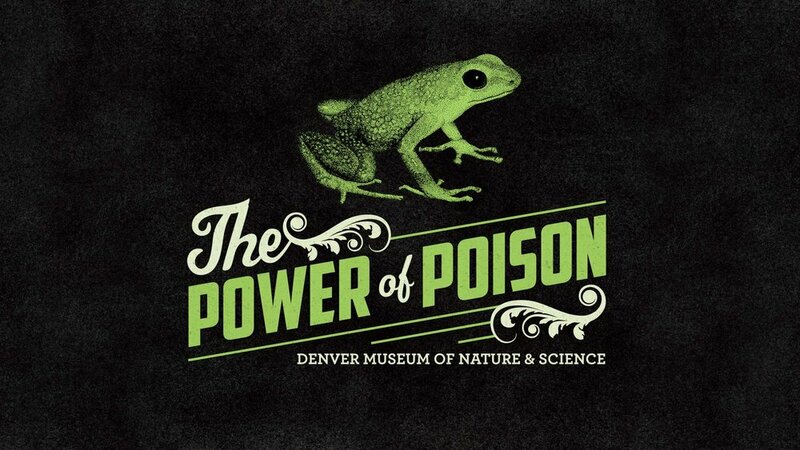 Another exhibit I was jaw-on-the-floor impressed with was The Power of Poison Exhibit, produced by the American Museum of Natural History in New York. The typography alone had me drooling to see it in advance. But the use of green and black and mist and mystery was so clever. Showing how many toxins are perfectly safe in small doses, but can kill in large amounts was my favorite takeaway, illustrated by a huge mountain of salt. It was theatrical and intriguing, and it made me want to stay longer and learn more. Contrast that with an exhibit I saw a few years ago. It wasn't as hyped, and I was less excited to see it, so that already gave Star Wars and Poison an unfair advantage. But it also had terrible typographic treatments (ack--the three T's). Line-breaks were all over the place. The paragraphs, blown up to three feet high, were misshapen and ragged. And the headers were too close to the body copy. The subject was interesting, but I kept finding myself so distracted and disappointed with the design, that I couldn't focus. I kept trying to will myself, to lose myself in the little wall placards. But, sadly, I couldn't. And while I know that I am more susceptible to these kinds of issues than most, I also think, with all our work, that the devil is most assuredly in the details. Which is why having someone who can check your work is always a good idea. Go slow, and taper off. Right, Grammarly?